Have you tried the photo albums by GrooveBook? Price! You can not beat a few bucks a month for getting an entire tear-out style mini album. Customer service is tops. In my experience, they are quick to answer emails and very polite. For a few bucks extra, you can order multiple albums per month for the grams or aunties who keep harping at you about photos of the kids. Very convenient! You can do it all from your smartphone. I mean, really, we do most things from there anyway and that is where all our pictures are, right?! The phone app is a bit slow. It has worked fine for me, but you do have to have some patience with photos loading. Hopefully, they will upgrade this over time making it a better experience (*fingers crossed*). The photo color quality can be a little off and the paper weight feels less than those from a local store provider. Does it bother me terribly? No. You get what you pay for. Considering the price includes shipping, I think it is quite a good deal. The shipping takes a while. I submit my photo choices at the beginning of the month, but I don't receive my book until mid-month. They do tell you 10-12 days shipping and that is pretty accurate so just know ahead of time and don't get too anxious. Just download the GrooveBook app, follow the photo upload instructions and enter the coupon code above at checkout. Pass it around to your friends and see what they think! Remember, it is a subscription service so be sure to upload your photos every month for a new album because you are charged for it no matter what. They have always sent me a nice reminder email though for uploading which I appreciate. Bottom line, I personally feel like the convenience and low cost out weigh any cons at this point. I would however like to see the app itself improved as it is frustrating to use at times. 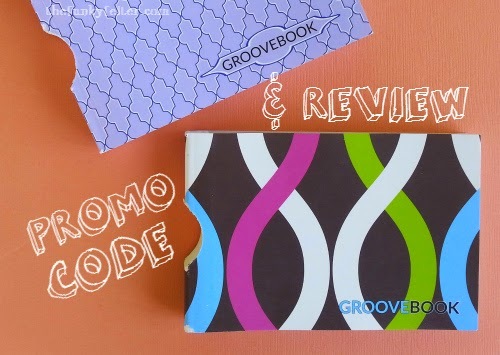 **I have no advertising affiliation with GrooveBook. I just wanted to let you know what I honestly think.